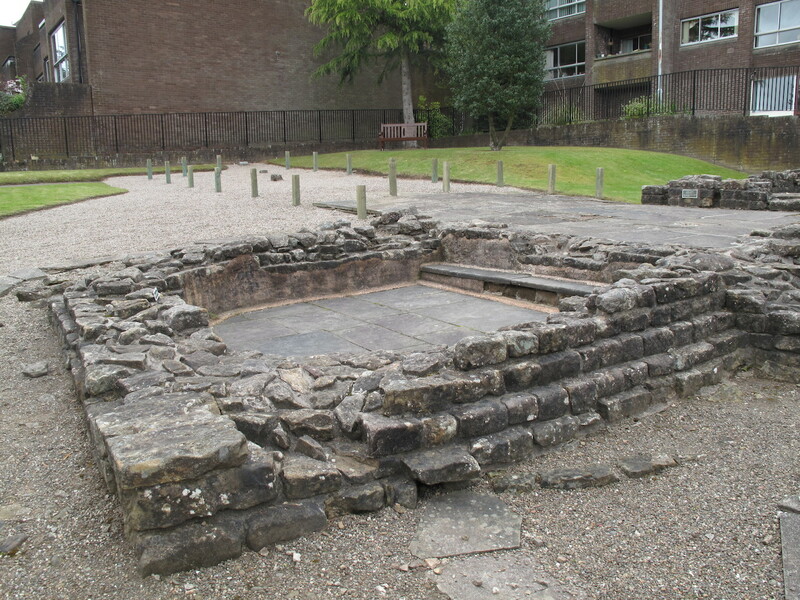 Bathhouse was part of an Antonine Wall Fort dating from AD 142. The Fort was small, 1 acre, and was made of a turf rampart on a stone base surrounded by ditches. It had barracks, stables, granaries, storehouses and a bath-house. There was no commanding officer’s house (principia) or headquarters building (praetorium). 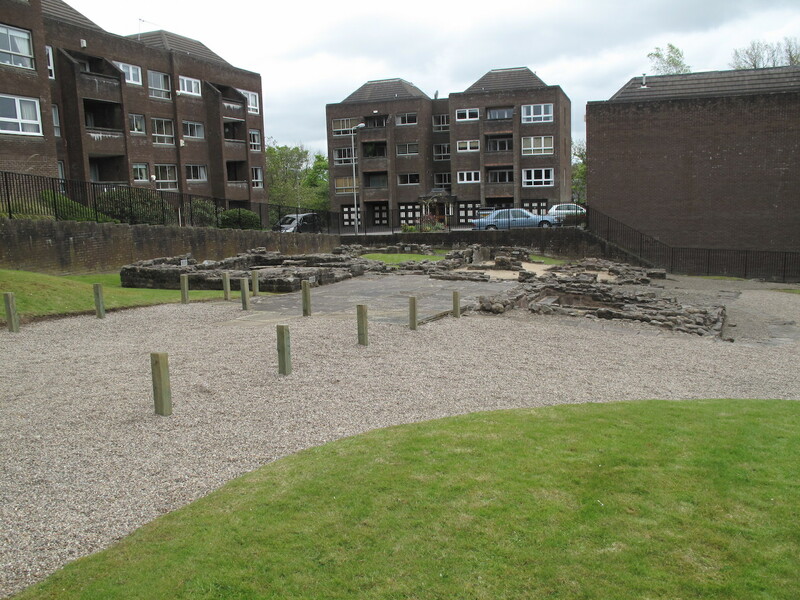 The Antonine Wall was the boundary of the Roman Britannia built by Emperor Antoninus Pius in AD 142. The Antonine Wall was a turf and timber rampart wall 40 Roman miles long between the First of Forth and the Firth of Clyde. In AD 161 when the Romans retreated back to Hadrian’s Wall and that is where the boundary remained despite an attempt by Septimius Severus to regain territory in Scotland between AD 208-210. He died in York (Eboracum) in 211. Bath-house foundations, including the change room (apodyterium), cold room (frigidarium), warm rooms (tepidaria), hot room and bath (caladarium). Remains of latrines and sewer drains.